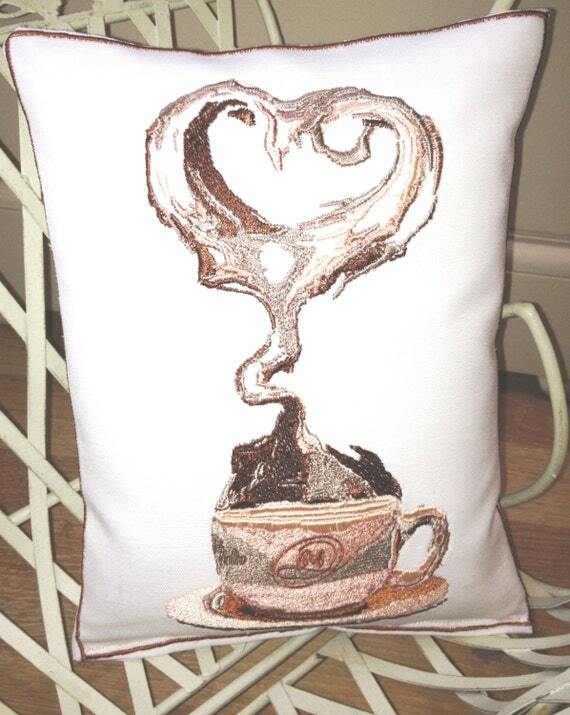 Inspired by those coffee moments in time, in the shops, at Home and with Friends and Loved Ones. Looks great and has a good feel factor to give and to decorate with! 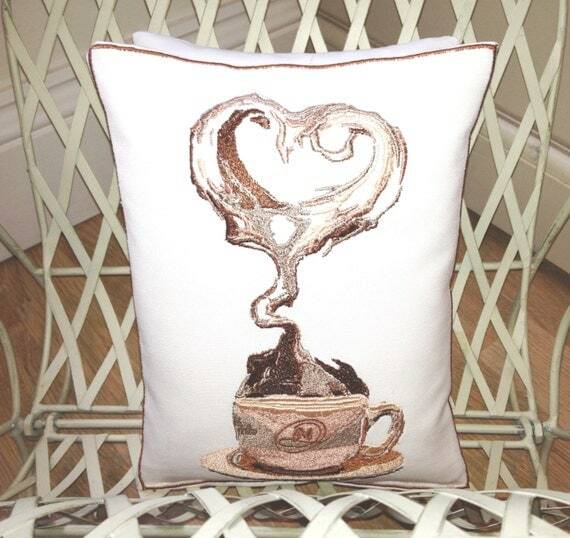 Artistic Cushion Throw, it certainly gives lush warm thoughts. Creating textured art with deep, brown and Cream embroidery threads to colour contrast and merge together to draw our eye to this yummy throw cushion. White Linen/Cotton mix quality material, with vivid embroidery. The Chocolate Brown Embroidered Boarder, all the way around gives it a luxury finish. Over 38,700 stitches and signed LMD in the design. Note: Colours & material may vary slightly due to photograph quality. Also the material around the heart slightly gathers due to the intense stitching, this gives a 3D effect to the heart. Can be seen in the photographs.